HEALTHY BEARD GROWTH – Our beard-growth capsules are capable of strengthening hair down to the roots, supporting attractive, vital beard hair. SPEED UP BEARD GROWTH – Regular use can stimulate beard growth and transform even sparse growth into a thick, even beard. HIGH-QUALIY PRODUCT – Beard Active is 100% free of artificial scents, colors, and GMO. It is made exclusively in a GMP-certified laboratory in Germany and undergoes strict quality controls. 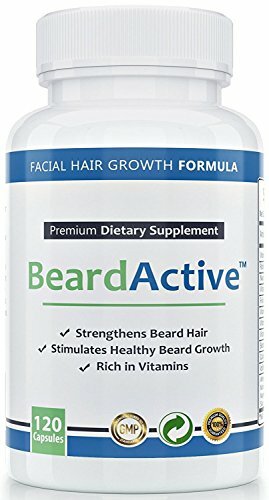 Beard Growth Supplement | Facial Hair Supplement for Men! |*MORE Hair Growth or Your Money Back! *100% PURE, *Best NATURAL Beard Growth Tablets. *NO Artificial Ingredients (Which DO NOT Work) *ULTRA Effective & NATURAL Results! *Healthier Beard *Increases Hair Follicles* & *Less Dryness & Itchiness* With Our PROVEN Beard Envy Ingredients * 100% Money Back GUARANTEED! * – 90 Maximum Strength Hair Growth Tablets – * FULL 6 WEEK Supply *Manufactured In The UK! FOR FAST AND POWERFUL RESULTS: Do you want a fuller beard? Healthier facial hair? Less Dryness? Less Itchiness? If so, then BEARD ENVY will explode your results. To maximise the benefits take 2 capsules once per day. 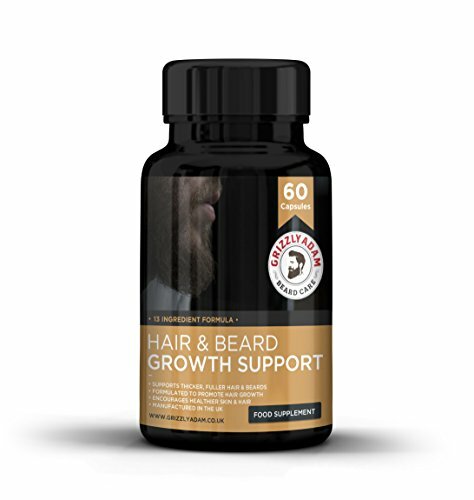 A Professionally Formulated Multi-vitamin Facial & Beard Growth Formula for Men – Contains 60 capsules for a 1-month Intensive Treatment or up to 2-months Beard Care Plan. 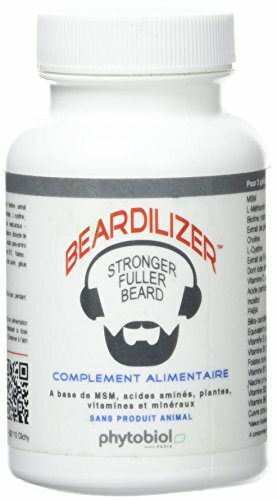 Beard Envy is THE #1 Natural Beard growth supplement on Amazon, because it produces the BEST results! 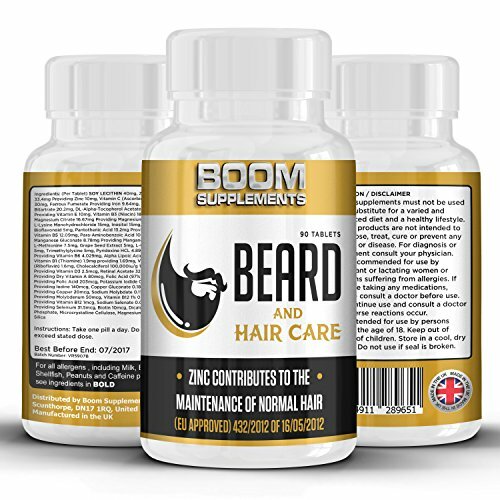 100% SAFE, EFFECTIVE AND NATURAL HAIR GROWTH SUPPLEMENT: Boom Supplements will NEVER use artificial, unproven, dangerous or filler ingredients in our form. Manufactured in the UK, EVERY batch we produce is governed by strict guidelines for quality and safety. This ensures we product 100% PURE, SAFE and EFFECTIVE products for ALL our customers. BOOST CONFIDENCE, LOOK, AND IMPROVE THE LOOK OF YOUR BEARD: All our ingredients work together in synergy to provide you a complete beard conditioning product that will improve your look. This supplement will help Nourish your Facial Hair Follicles from the inside and help to stop the dry and itchy beard problems we occur. This powerful beard growth supplement will help you improve your look and be the envy of your friends! 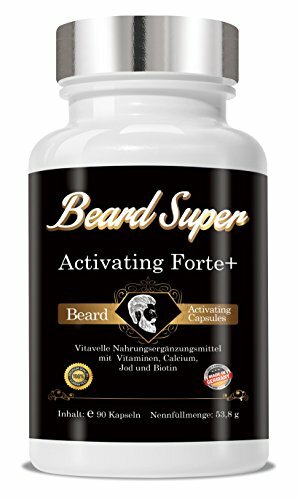 A Professionally Formulated Multivitamin Facial Hair Formula for Men – 90 capsules for a 1-month Intensive Treatment or up to 3-month Care Treatment. 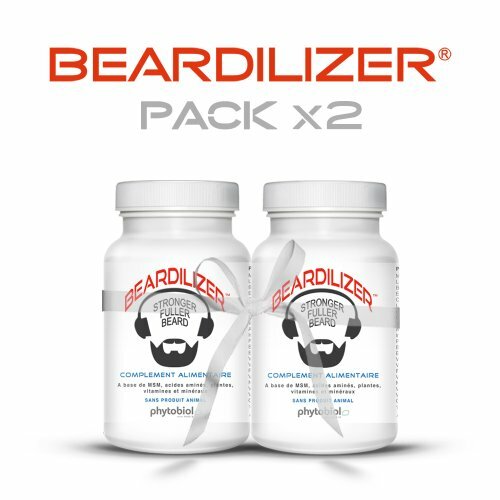 Grow a Stronger, Fuller, Healthier Beard Faster with this 100% Drug-Free Dietary Supplement. Nourishes the Facial Hair Follicle from the inside. A Professionally Formulated Multivitamin Facial Hair Formula for Men – 270 capsules for a 3-month treatment. A Professionally Formulated Multivitamin Facial Hair Formula for Men – 360 capsules for a 4-month treatment. 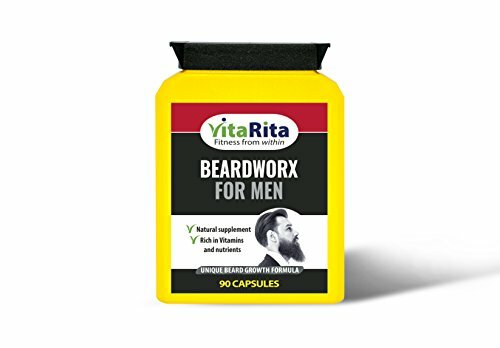 ARE YOU LOOKING FOR A SUPPLEMENT TO SUPPORT HEALTHY FACIAL HAIR?- Grow the beard you have always wanted with BeardWorx for Men by Vita Rita! Not only that, this product contains active ingredients that help support muscle & immune function, bone health and metabolism. A great product for men who value their health. COMPREHENSIVE FORMULA- Our beard growth supplement has been formulated to include a range of essential nutrients that are popularly taken to help contribute to facial hair growth. WHY CHOOSE VITARITA?- At Vita Rita, all the supplements in our range have been designed by our resident team of nutritional specialists, and only use the finest, pharmaceutical grade ingredients to ensure you receive the highest quality nutritional support. FEED YOUR BEARD: VitaBeard is the Original Facial Hair Growth Multivitamin! The world’s first beard growth supplement, VitaBeard helps give you the optimal beard growth environment to support healthy facial hair growth for men with beards. THE ONLY BEARD GROWTH PRODUCT THAT IS 3RD PARTY TESTED AND CERTIFIED VEGAN AND NON-GMO: What’s in your beard? VitaBeard ingredients are tested & verified by NSF International. In addition, the VitaBeard beard growth formulation is certified Vegan and Non-GMO. No other beard growth products carry these quality certifications. 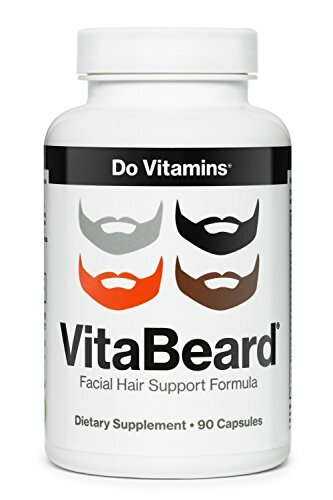 A MULTIVITAMIN FOR BEARDED MEN: With its powerful nutrition profile, VitaBeard facial hair vitamins can also be used as your daily multivitamin. Includes important nutrients for men, like Vitamin D and Zinc. 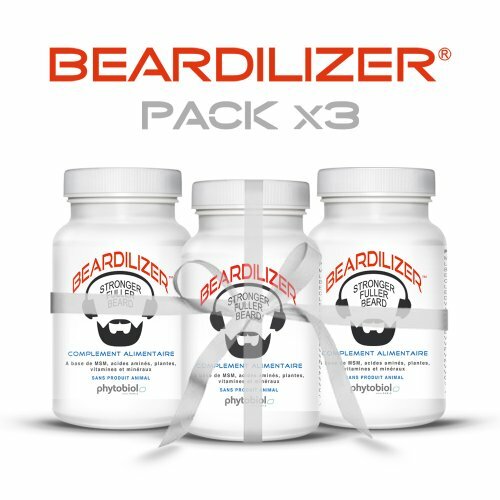 Get the daily support you need, while growing the best beard of your life! VitaBeard can also help to minimize beard itch by regulating oil production on the skin underneath your beard. 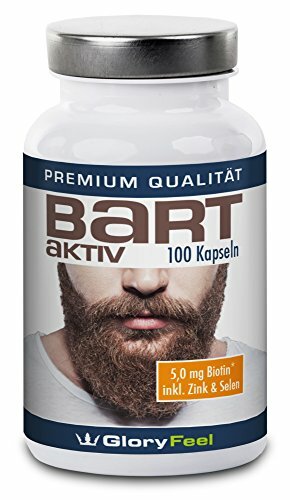 ✅ IMPORTANT NUTRIENTS FOR THE BART HAIR: Bart-Aktiv promotes normal and healthy beard growth. For a normal nutrient supply of beard hair and a healthy beard growth. 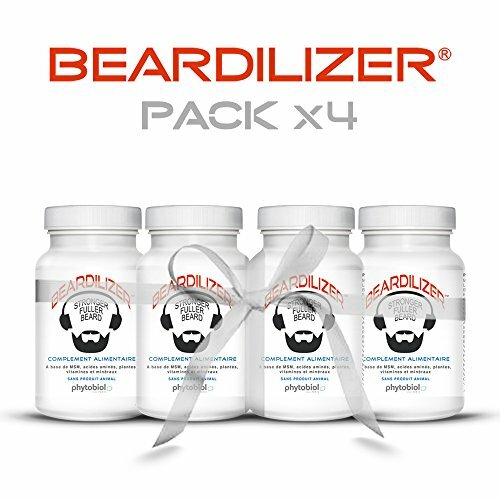 High quality hair and beard growth supplement – If you are looking to improve your beard or fight potential baldness, this is the right product for you. Gives Your Hair a Biotin Boost – Do you want a bigger and better looking beard? If so, a B-Complex vitamin called Biotin is just what you need. Not only does it aid in the prevention of hair loss, but it can also give you a natural boost in your rate of hair growth. And as if that wasn’t already cool enough, it also restores your hair’s shine, elasticity and density. 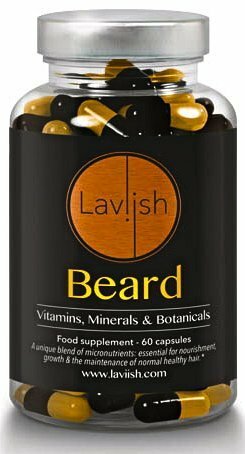 Laviish Beard is a blend of essential, vitamins, minerals and nutrients combined with a selection of botanicals for a fuller stronger beard. Biotin, Zinc and Selenium support the maintenance of healthy hair. MSM (Methylsulfonylmethane) a sulphur based compound.Keratin is the main protein in hair follicles, Keratin needs sulphur to create strong disulphide bonds which result in stronger compounds and fibres. Caffeine has been shown to improve physical performance which in itself leads to an increased production of testosterone, and that’s the hormone that governs your beard’s growth. Fenugreek is a vitamin-rich herb that helps to improve circulation and stimulate hair growth.